I'm in the middle of my fifth week of the semester at school and it has been taking so much time and energy that I haven't had much time to blog. Of course, there has been some excuse making and the like as well. I'm enjoying my courses for the most part, although, the load is a bit much and I don't think I'll take so many classes at a time in the future. I thought I'd include this picture. 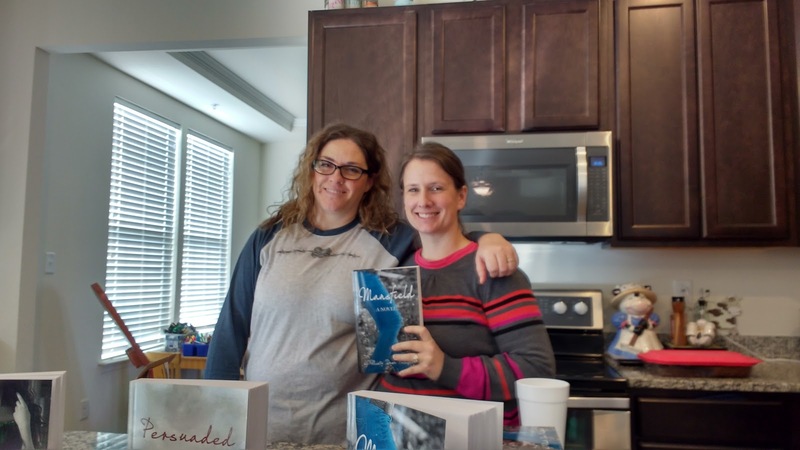 It's from a couple of months ago, but I love my author friends so it's an official announcement that Misty Dawn Pulsipher's new book is out. Mansfield is now available on Amazon. I love reading Misty's books because they make Austen more accessible to modern readers. Random confession: Pride and Prejudice is the only Austen book I've officially read all the way through. Misty is the perfect author to do Austen re-writes because she is just as witty as the late Miss Jane Austen and knows the stories well. I can't wait until the day I have enough time to read for enjoyment. Textbooks can be so dull and dry. Stories are the stuff of life.